In early times, a capacitor is called as a condenser and earlier to that named as a Permittor. It is a two terminal passive electrical component, used to store electrical energy in an electric field. Generally, the different types, shapes and materials used for the capacitors vary, but it comprises of two electrical conductors called plates that are separated by an insulator. 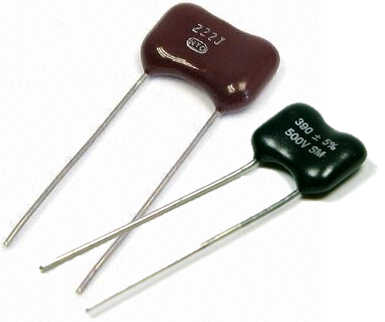 Capacitors are used as an element of different electrical and electronic circuits in many common instruments. 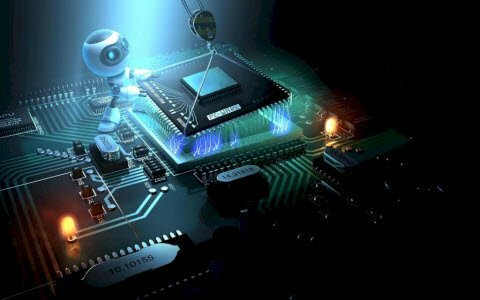 There are different kinds of capacitors are available in the market, namely ceramic capacitors, dielectric capacitors, film capacitors, mica capacitors, variable capacitors and so on. These capacitors are classified based on the different properties like working voltage, required capacitance and current handling capacity. 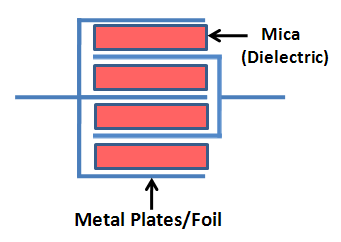 What is a Mica Capacitor? The term “Mica” is a collection of natural minerals. Silver mica capacitor is a capacitor that uses the name mica as the dielectric. These capacitors are classified into two types, namely silver mica capacitor and damped mica capacitor. Silver mica capacitors are used in its place of clamped mica due to their lower characteristics. Generally, mica capacitors are low loss capacitors which are used where the high frequency is required and their value doesn’t change much over time. These capacitors are constant chemically, mechanically and electrically due to its particular crystalline structure (typical layered structure). This creates it achievable to produce thin sheets in the order of 0.025-0.125 mm. The most frequently used micas are Phlogopite mica and Muscovite mica. The high difference in raw material work leads to high cost required for check & sorting. Mica doesn’t respond with most acids, oil, water and solvents. The construction of this capacitor is so simple. 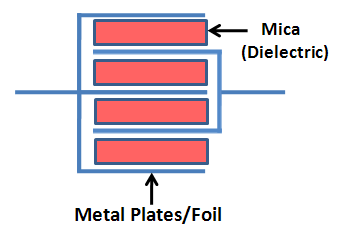 Previous mica capacitors used thin sheets of mica coated with lean sheets of silver. The thin layers were secured & electrons were added though, due to physical defects in both layers, there were little air gaps which damaged the precision of clamped mica capacitors. Moreover, those air gaps could initiate problems due to mechanical pressures and the value of capacitance would alter over time. Post-WW2-silver mica capacitors are made by covering the silver directly on the outside of mica and covering these to obtain the desired capacitance. After the layers are collected, electrodes are added & the assembly is encapsulated. Silver mica capacitors have a comparatively tiny capacitance value (between a few pF, upto a few nF). 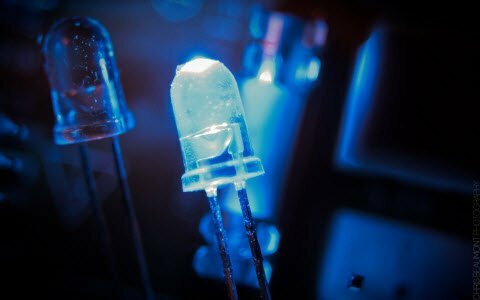 The largest capacitance capacitors can attain values of 1µF, even though these are unusual. Silver mica capacitors are typically rated for voltages between 100 & 1000 volts, though there are particular high-voltage mica capacitors designed for RF TX employ which are rated at up to 10 kV. The values of smallest tolerance of a silver mica capacitor can be as low as ±1%. This is much superior than almost all other kinds of capacitors. 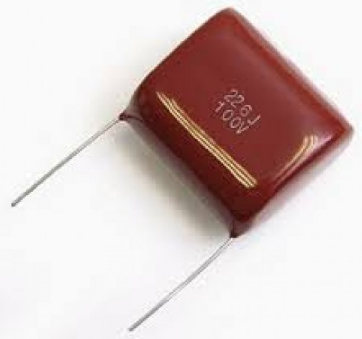 In contrast, positive ceramic capacitors can include tolerances of up to ±20%. These capacitors are very constant and very precise. Their capacitance changes small over time. This is due to the truth that there are no air spaces in the design which might change over time. Also, the assembly is guarded from other results by an epoxy resin. 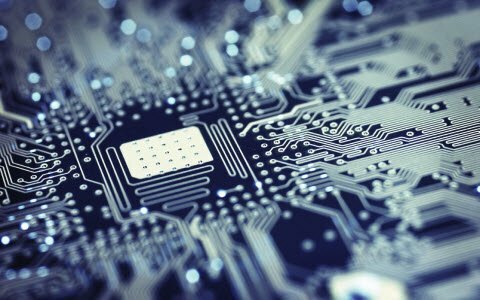 This means that external effects like air humidity do not involve mica capacitors. 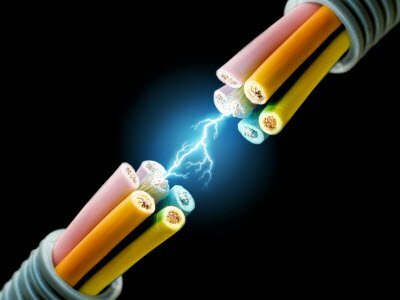 Not only is their capacitance constant over time, it is also steady over an ample temperature, voltage & frequency range. The standard temperature coefficient is around 50 ppm/°C. These have low inductive and resistive losses. The characteristics of these capacitors are generally frequency independent, which permits for their use of high frequency. These better characteristics come at a price: silver mica capacitors are large and costly. Silver mica capacitors are used frequently due to its features like high level performance, superior in numerous areas than any other kind of capacitor. The particular properties of the mica capacitor are summarized below. Although these capacitors have a low temperature co-efficient and high tolerance they are famous to jump in value on occasions. From the above information finally we can conclude that, these capacitors employ mica as the dielectric. They have high frequency properties due to very stable over time, inductive losses and low resistance. We hope that you have got a better understanding of this concept. 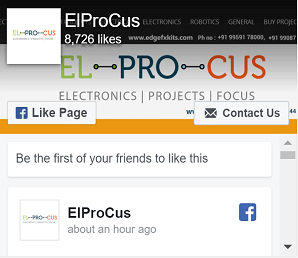 Furthermore, any doubts regarding this concept or to implement electrical engineering projects, please give your feedback by commenting in the comment section below. Here is a question for you, what are the different types of Mica Capacitor? 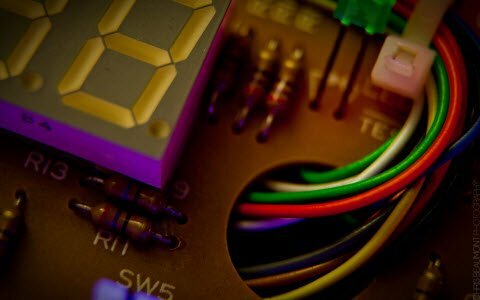 This is one of the finest articles on Mica capacitors. Keep up the great job Tarun.